Art has long reflected a fascination with flowers and the dichotomies in their symbolic meanings; Life and death, virtue and vice, defiance and hope. For this exhibition Dewitt and Patterson explore these dichotomies and various notions of preservation and destruction through their respective mediums and floral imagery. 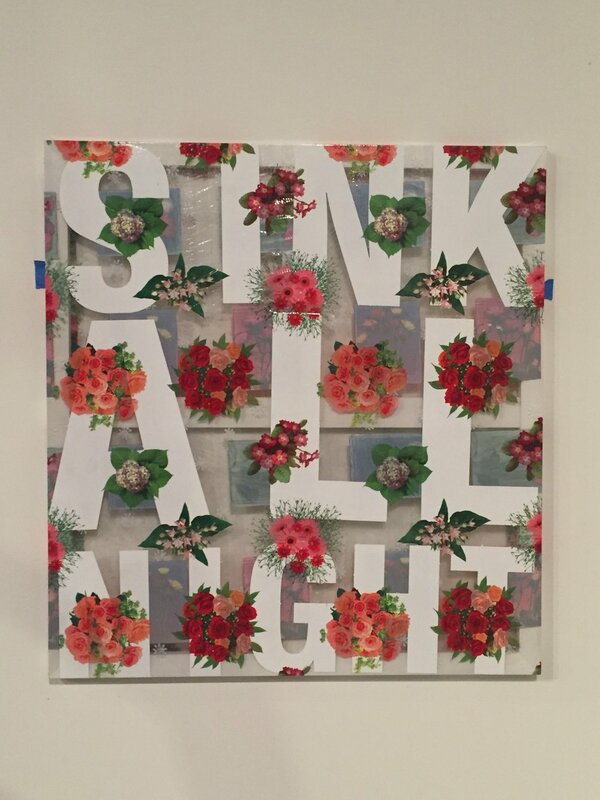 Drawing upon themes of reflection, engagement, and social critique, Cali DeWitt presents his text-based works on plastic floral printed tablecloths. The purportedly disposable tablecloths mimic the life expectancy of flowers. Dewitt preserves the mundane tablecloths by transforming them into fine art materials, and infusing new meaning beyond their temporal intended function. Charlotte Patterson presents a body of work in which she uses photography in its most basic form of representation. Patterson photographs flowers before they wilt, capturing them at their last breath. She then rearranges the physical prints as a still-life composition before setting them on fire and photographing the scene again - capturing the final moment before their inevitable destruction. The pieces are a study on the cyclical nature of life and the desire to be in control of ones own fate.